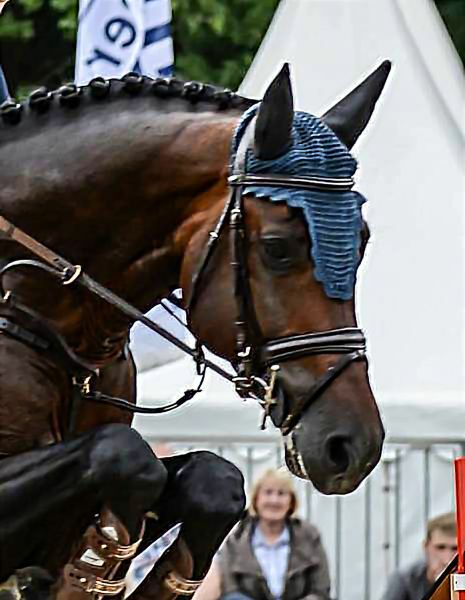 Distinguished by scope and excellent jumping-technique, easy and flexible to handle, Ninyon is an athlete of international quality. His sire Nintender produced numerous highly successful offspring for sport and breeding, who are all characterized by their rideability and noblesse. Nintender was celebrated Champion Stallion at the OS licensing in 2004. Then he finished his 30-day test with a score of 9.13 with emphasis on jumping. 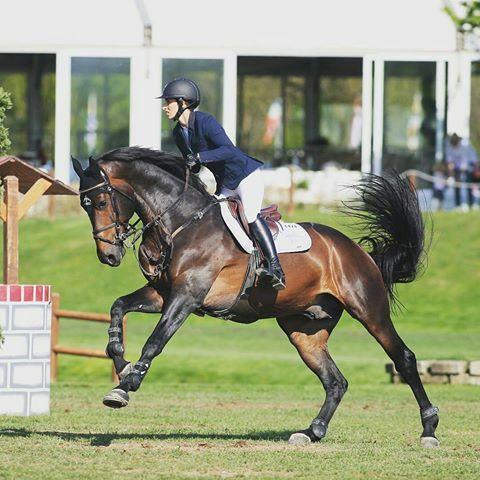 After achieving twelve victories in tests for young show jumpers up to medium (M) class, he competes internationally successful under the Swedish Jannike West on the big jumping courses now. 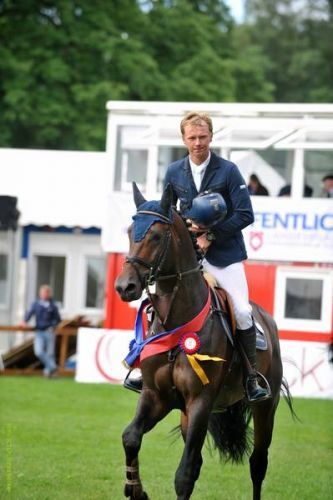 Namelus R belongs to the best KWPN jumper sires according to his breeding value. At his licensing in s'Hertogenbosch in 1998 he stood out because of his top talent for jumping and left the ring as reserve Champion. Due to injury he himself couldn't compete in sport, but he presented a fantastic record in breeding and, therefore, he was awarded the title "preferent". There is also a wonderful blood-connection on both the paternal and maternal side of the pedigree via the legendary Calypso II son Contender. 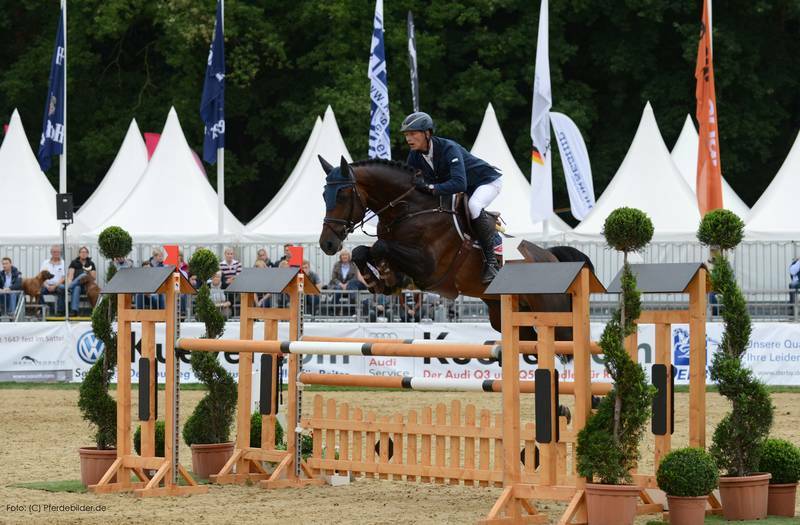 He is one of the most frequented stallions from the Holsteiner Verband and presented many internationally top show jumpers, such as the team World Champion Checkmate (M. Michaels-Beerbaum), double European Champion Montender (M. Kutscher) or Chiara (L. Beerbaum), team silver medalist at the European Championship. Furthermore, he can refer to more than 120 licensed sons in different breeding areas. One of them is Ninyon's grandsire Careful, who succeeded in grand international trophies and World Cups in show-jumping. At the moment, his daughter Tailormade Cavetta is highly successful and, most recently, won the Grand Prix of Verden with Sören Pedersen. Ninyon represents the valuable Hanoverian dam line of Schluppera, which produced countless licensed stallions, such as Sarkozy, Weltadel and the Celle state stud sires Argwohn I und II. From this line are also famous sport horses, including the Olympic dressage horse Fallada M (Karin Tebar) as well as the internationally successful show jumpers Galloway (L. Gössing), Gundermann (G. Wiltfang/D. Schulze) and Petit Croix (E. Blaton).